The Getting to Know Getting It Right For Every Child Team has developed a wellbeing resource for young people aged 12 and above in partnership with the National Third Sector Getting It Right For Every Child Project. 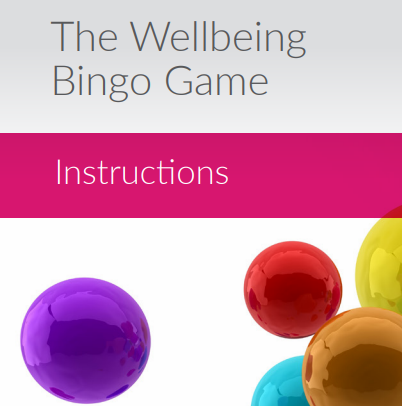 The Wellbeing Bingo Game was co-produced with Fife Young Carers and with input from Edinburgh Young Carers to encourage young people to talk about their wellbeing and to support each other to make improvement with appropriate help. The design element was also provided by Young Scot. The game can be used by practitioners who work with young people in a group setting. This free resource comes with full instructions. However, if you have any questions about using the Bingo Game or would like further information, please contact [email protected].